Adriana Colón-Adorno is a junior environmental studies major at Yale University and current co-president of Despierta Boricua at Yale (the Puerto Rican student organization). She was born in Humacao, Puerto Rico. 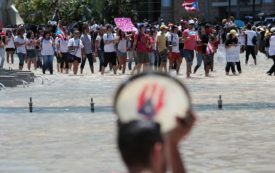 They demand that the university cancel its holdings in the Puerto Rican debt and divest from the fossil-fuel industry.